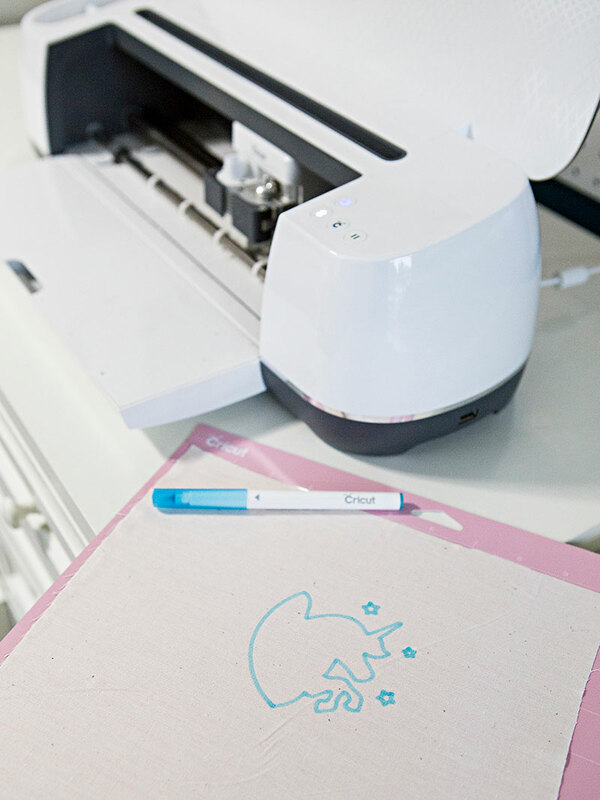 Hola, Cricut lovers! My name is Jen Causey and I’m the resident wedding expert for Cricut. I’m the creative gal behind the wedding blog called Something Turquoise , but I decided to share something a little silly and creative with you this month, that really has nothing to do with weddings. 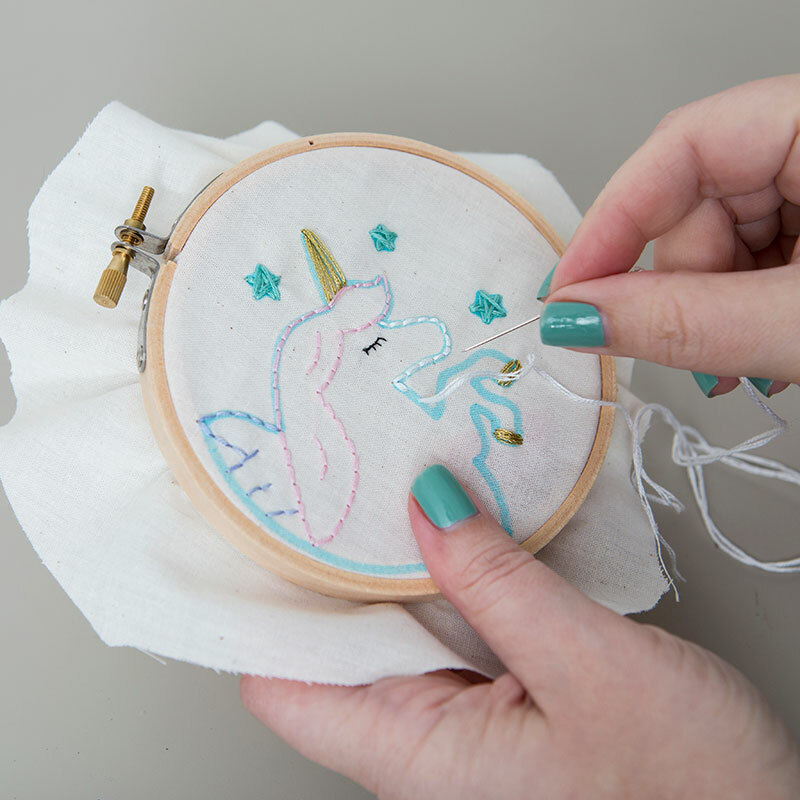 I love small embroidery projects. Something to keep your hands busy while you relax on the couch at night. Something to hang up in a special place in your home or something that would be a great gift. 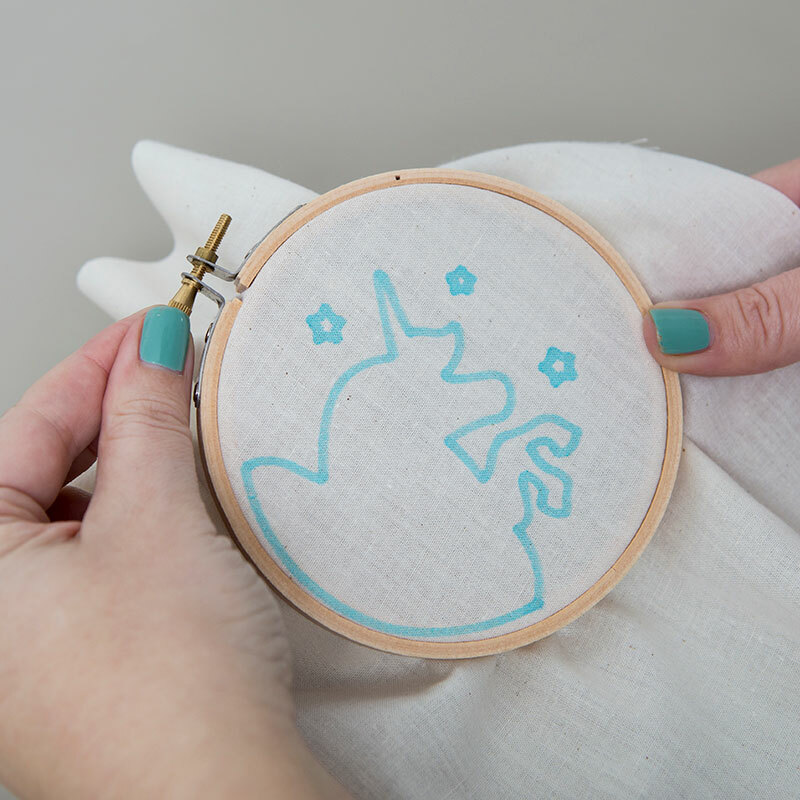 So today I’m sharing how the Cricut Washable Fabric Pen can really help aid you in beginner embroidery projects! 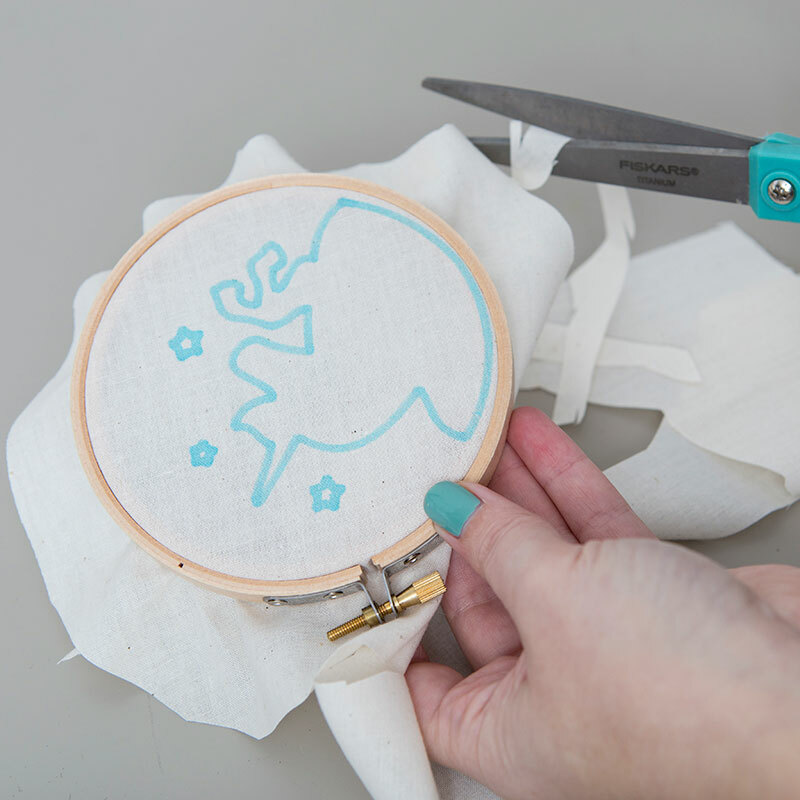 Create your own custom hoop design in Design Space and instead of “cutting” with your Cricut, you’re going to “draw” it on fabric with the washable fabric pen as your outline for sewing - it’s fabulous. The pen washes off with water and what you're left with is a lovely handmade piece of decor. 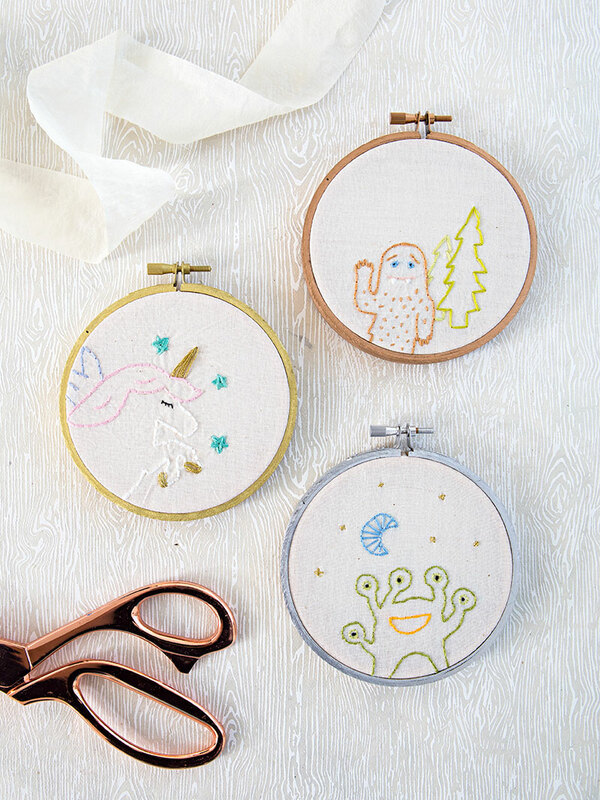 Design your simple embroidery scenes using your own graphics or graphics from Design Space. 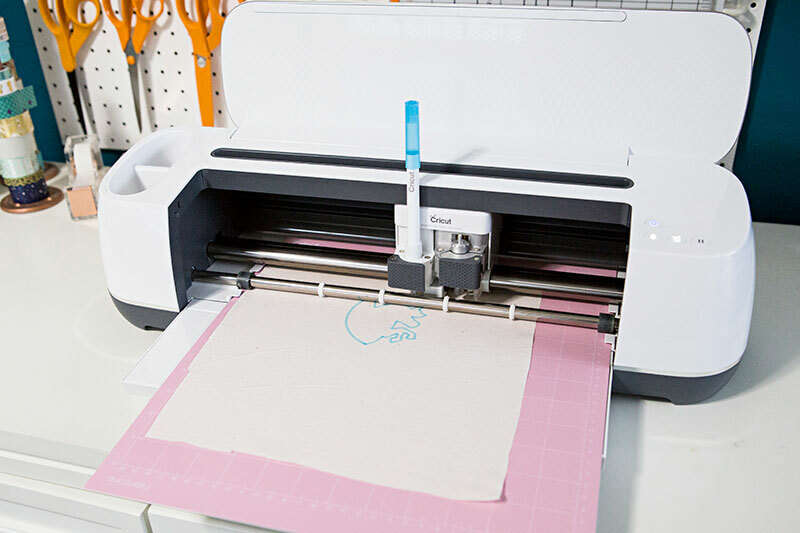 Make sure to change them from a cut file to a “write” file in the layers panel and mark them as using the Washable Fabric Pen. Use these exact designs pictured here by visiting this canvas in Design Space. I cut 10” squares of my cotton fabric to sew on, so I moved each design to a new mat before I cut, and also dragged the design to the middle of 10” x 10” so it would be drawn in the middle of the fabric on my mat. Pick your fabric and insert the washable Fabric pen, then hit go! Draw! Let your Cricut work its magic! 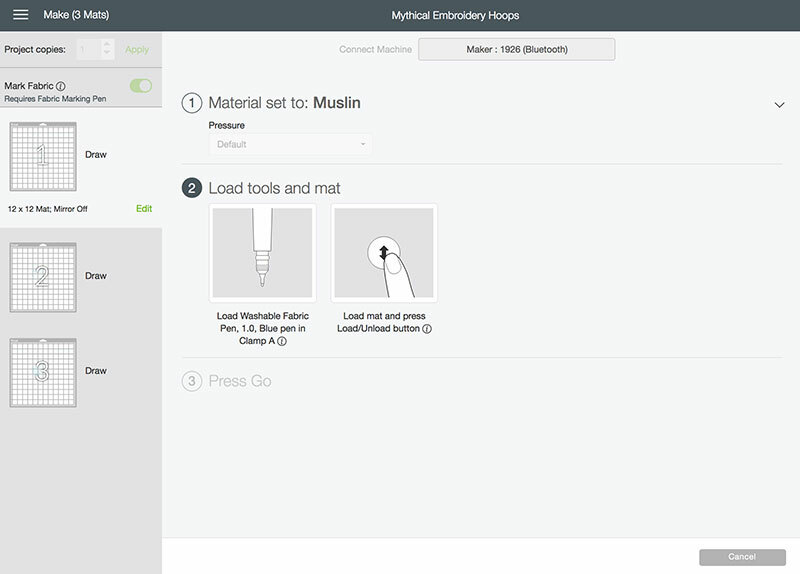 Set yourself up to sew. 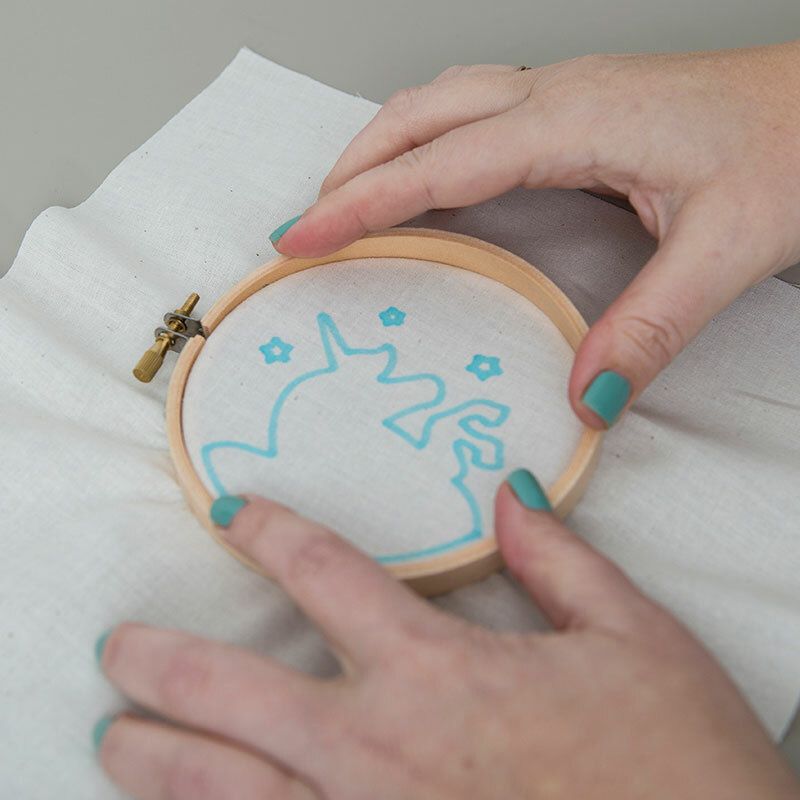 Place your new Cricut drawn pattern into a 4” embroidery hoop and secure. Then trim away excess material that would get in your way. 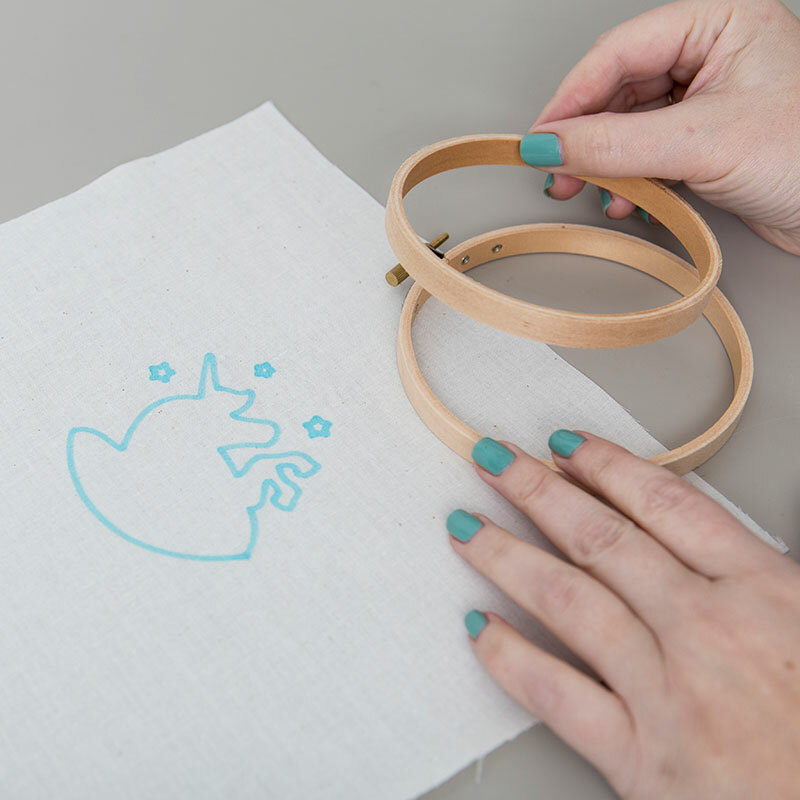 Hand sew your darling design by following the outline that the Cricut created for you! This is a wonderful way to make any type of design, whether you’re a beginner or not! From cute pictures like these to words and more! 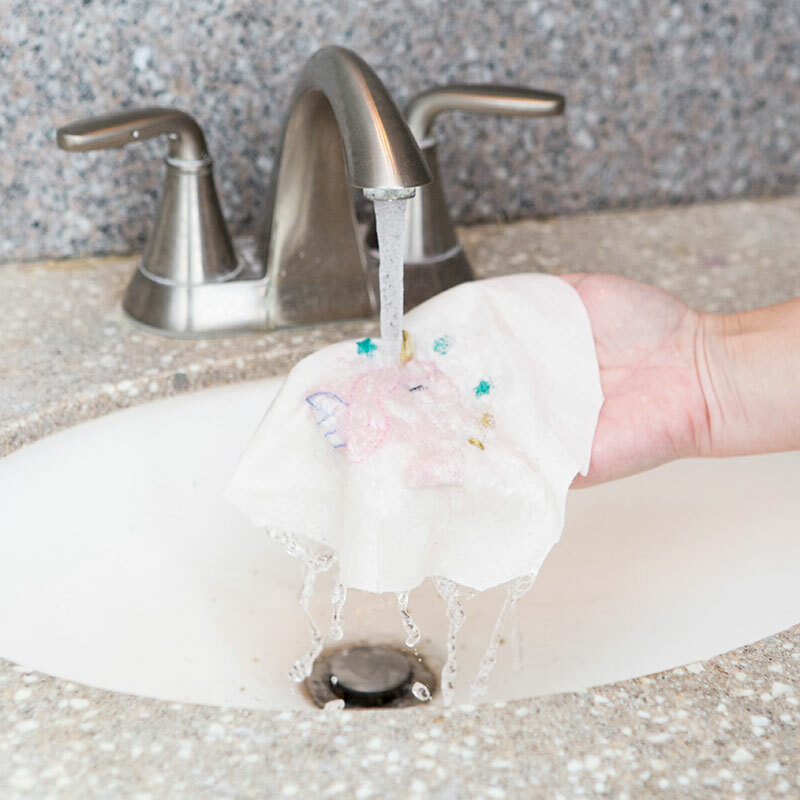 Under warm water, gently rinse away the pen markings, lay flat to dry and then gently iron. The blue markings disappear like magic! 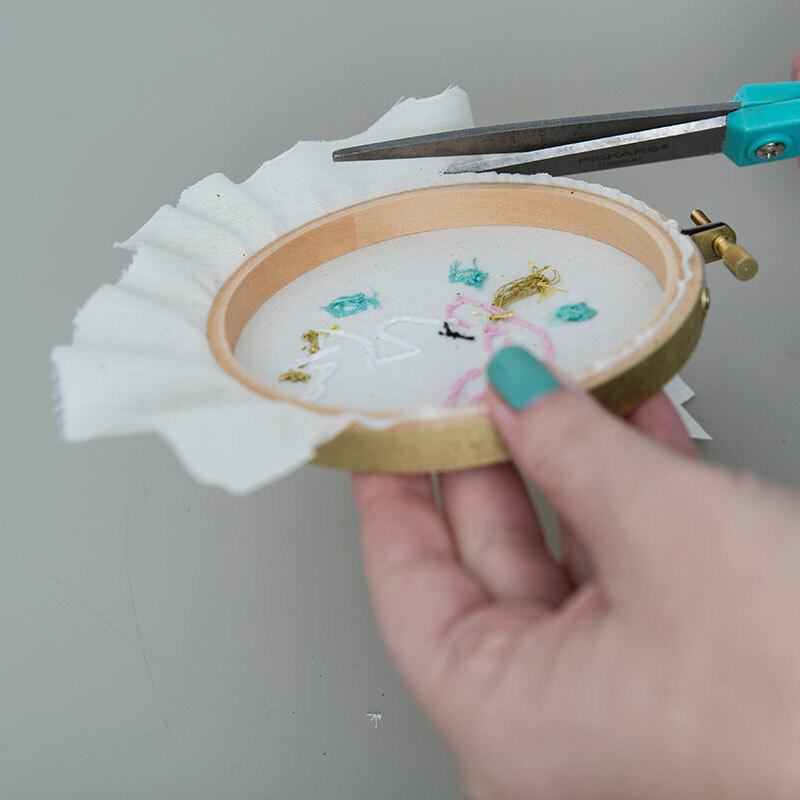 I spray painted the outer rings of my embroidery hoops and you can do the same if you’d like. 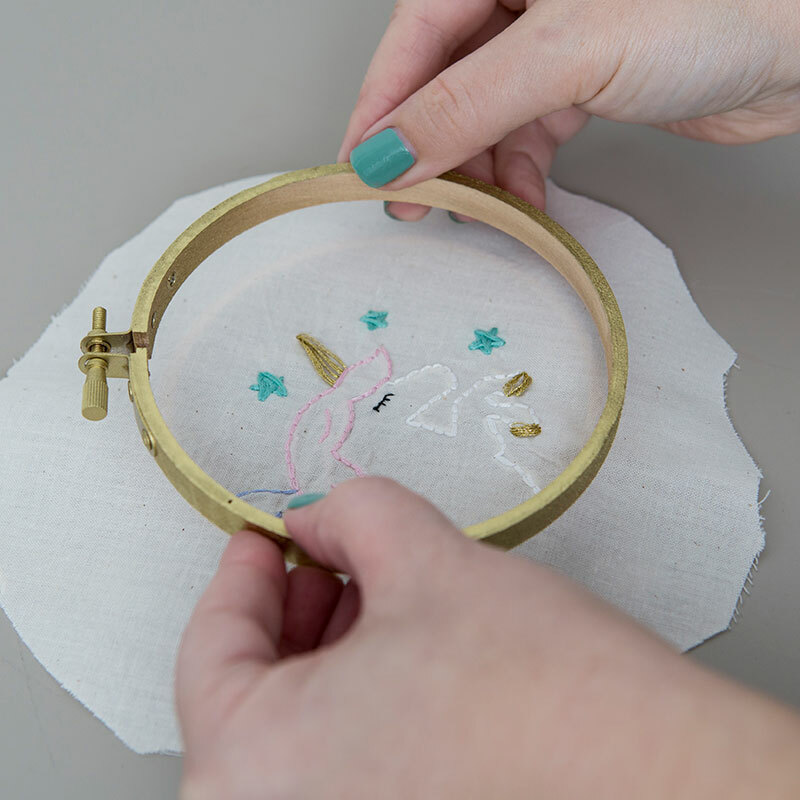 Then place your adorable, hand-sewn design back into the hoop and tighten. 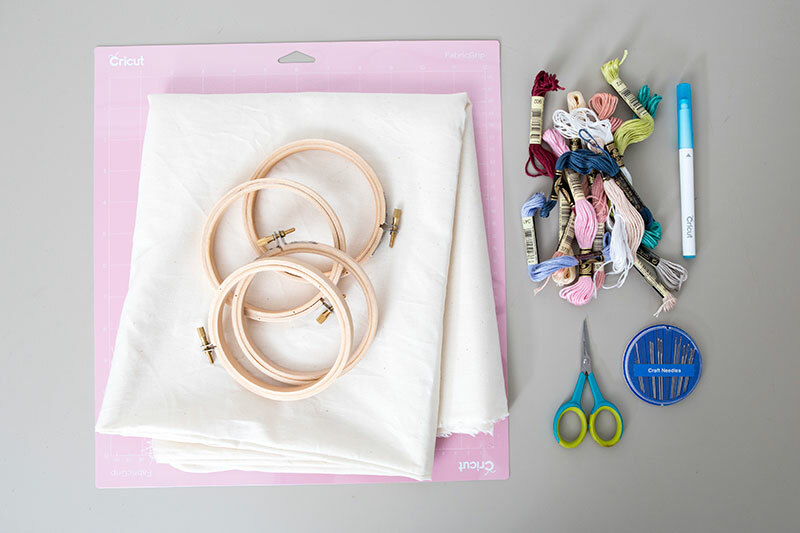 Flip over to trim the excess fabric down to the wooden ring. 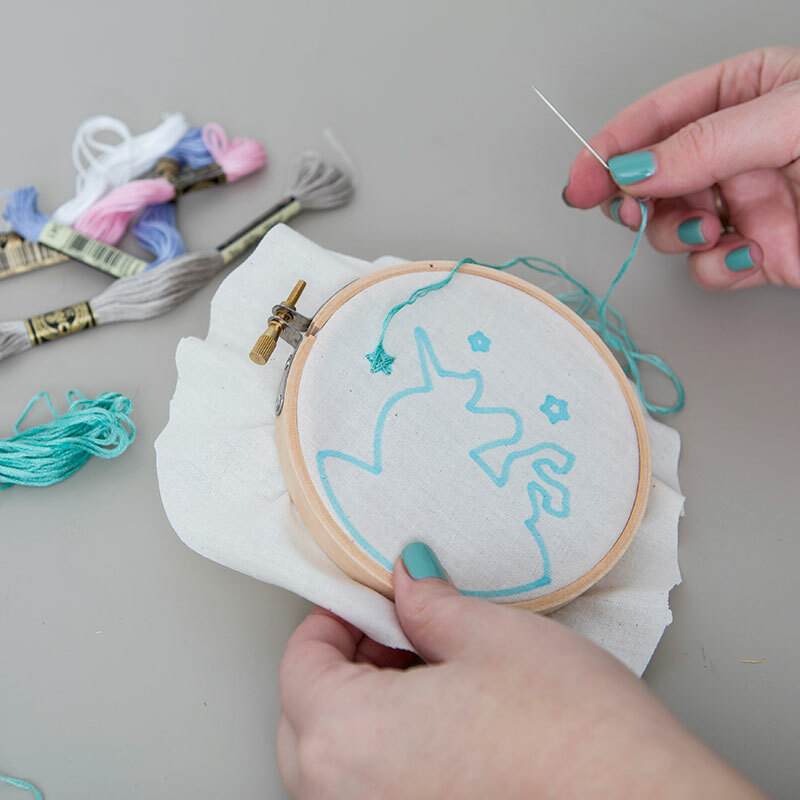 You can glue the fabric in place and even add a layer of felt to the back to finish off the hoop. 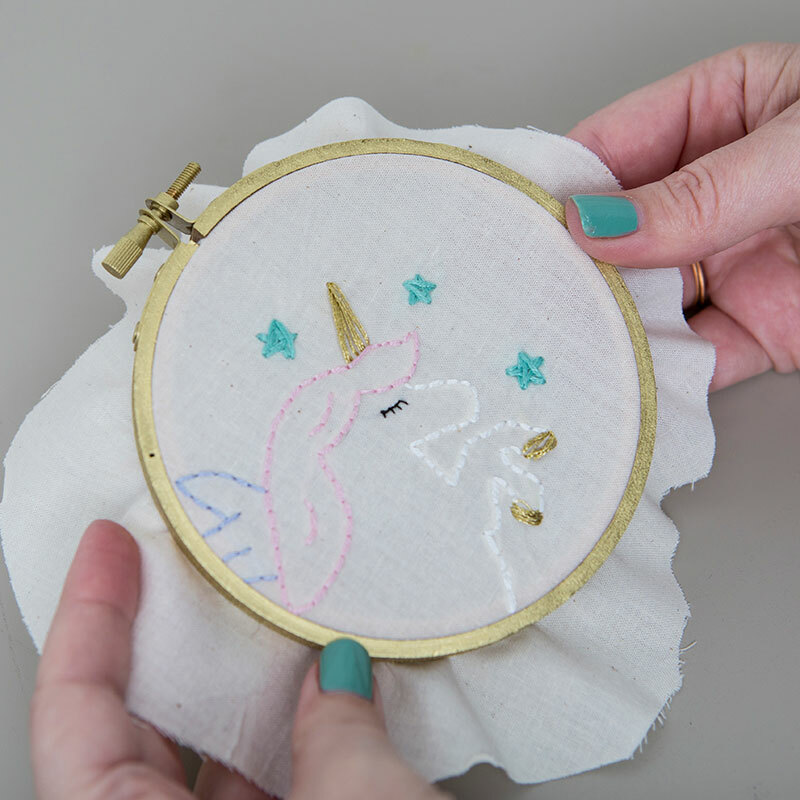 I’m excited to see you creative Cricut users create these adorable little mythical hoops so make sure to share them on social and tag @something_turquoise and @officialcricut! 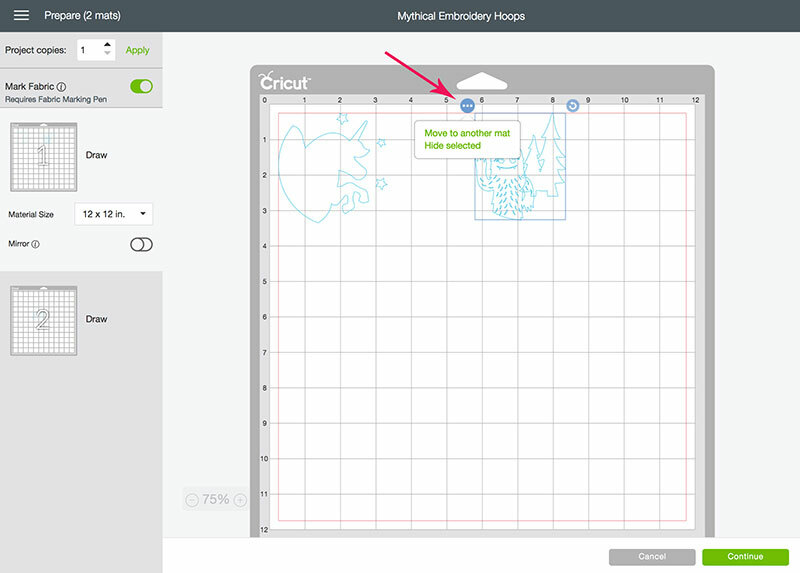 Thus is a brilliant idea and one more reason to purchase a Cricut Maker. 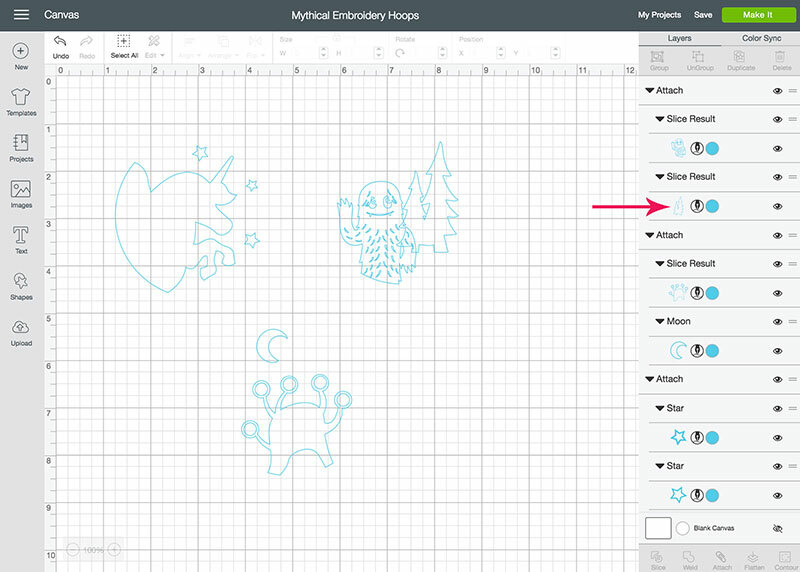 IIs there a finer point pen that I could use on the Cricut Maker for this type of application? We currently only sell the one size (though of course we are always developing new products and it’s possible that we may sell a finer point in the future). You can experiment to see if other washable fabric pens will work. Will this work with more complex patterns or just simple ones? If it can be drawn without overlaps (so you know where to sew) and it can be fit within the mat dimensions, it should be able to do more complex ones also. You can do the pattern in Design Space or a separate program like PicMonkey, then upload it. In the Layers panel on the right in Design Space, you will see a circle with a picture inside by each layer. You would change from scissors (cutting) to the pen tip (writing). I do this with a Bohin Fine Tip water erasble pen (which is sell in my needleworkshop) and an pen adapter I purchased off Etsy. The Bohin pen is about 1/6the width of the Cricut pen. I also found the Cricut pen bleed on some of my tests depending on if I was using cotton or linen fabric. But this is a fun thing to do. 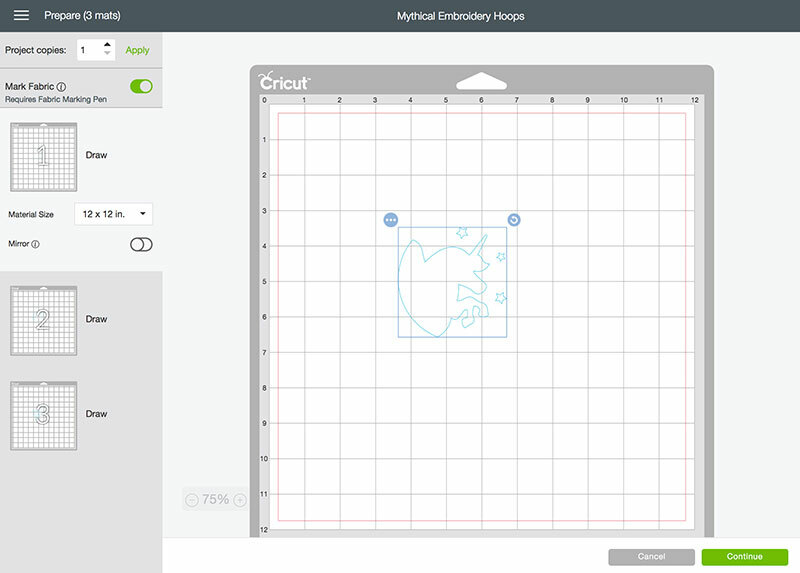 I just recently bought a cricut machine and am attempting this tutorial but struggling a little….. The marker is bleeding and making my design hard to even make out. The text portion of my design is just blobs and there is no way I can see where I’m supposed to be stitching. What am I doing wrong?!! I can’t tell if its my fabric or the pressure the machine is placing on the marker! Hi. How big is the design you are using? Are there many small details? Are you using our pen? Hi there! The design is pretty simple, just a large sun. I made it some what large, around 4.5 inches. Yes, I am using the Circut Washable Fabric Pen. I’m not sure if the fabric was too porous or if there was too much pressure on the pen. This is wonderful. Where are the pens sold? I’d love to try this for quilt squares. Thank you for this.